We share our expertise in enterprise mobility by writing and speaking around the world. Read our latest long-form pieces or see where we’ll be appearing next. People want intuitive, natural, and organic systems based on their needs and characteristics. Learn how to apply Human Centered Design to workplace performance support. Edited by Dr. Gary Woodill and Chad Udell, this book has been written over the last several years by Float’s team of designers, developers, and consultants. In the CHAMPIONS framework, Float and Qualcomm Learning Center help organizations embrace digital technologies to achieve amazing results. Technology allows information an employee uses to be more targeted, collaborative, and creative. This white paper explores its potential. 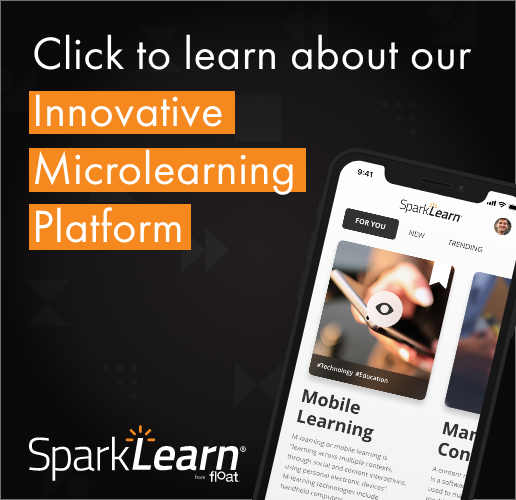 Float's Chad Udell demystifies the many choices involved in developing mobile learning content, and provides a framework of four content types that gives learning professionals a solid grounding in the exciting possibilities of mobile devices. Learn more.